The first step is data preparation. To navigate point clouds quickly data must be preprocessed (as already mentioned these files can really be huge). Use POINTCLOUDPREPROCESS to open a file dialog that lets you select input point clouds. Currently, BricsCAD supports import of the following three types: .las, .pts, and .ptx (more formats will be added later). 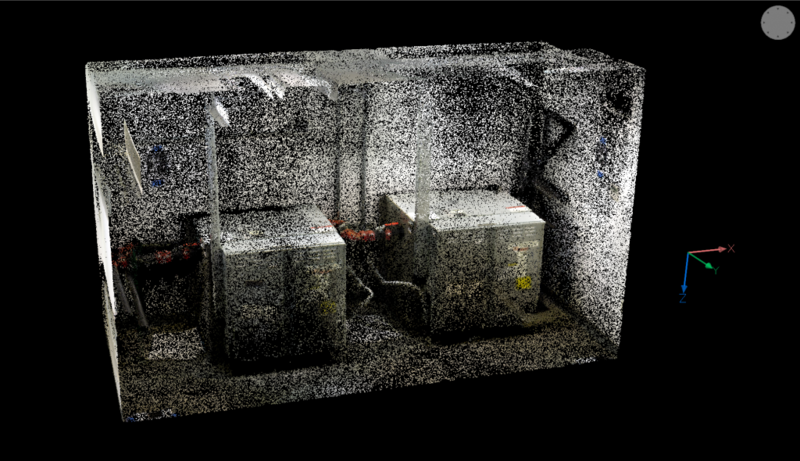 For information on where to find point cloud sources please see this blog post. The next step is to select the name of the preprocessed output file. By default, the file dialog suggests the same name as the input file (without the numbers before the extension). The processed file is given the extension of .bpt (Bricsys Point Tree). However, you can change the name to anything you choose. For AutoCAD® users: this whole step is the equivalent of creating a .rcp file in Recap. The next step is attaching the preprocessed .bpt file to the current .dwg. Use POINTCLOUDATTACH. A point cloud can NOT be attached to an empty template. The .dwg must be saved first. This is because the .dwg will then refer to the attached point cloud using a relative path from the location the .dwg file was saved. When the .bpt file is selected, a dialog appears that lets you specify how to insert the point cloud into the drawing. 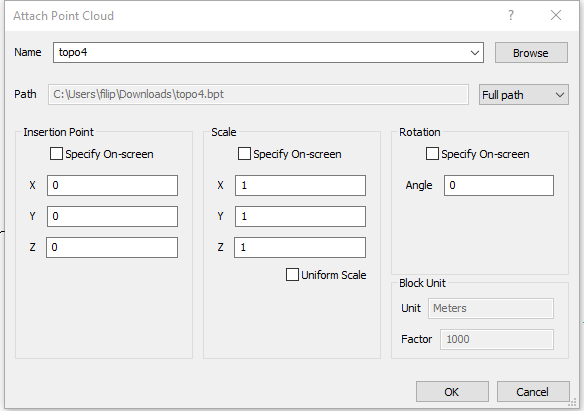 Point cloud attach dialog. Here the user gets the possibility to choose how the point cloud is to be inserted in the drawing. When the box “specify on screen” is checked, an insertion box will appear to let you determine translation/rotation/scaling (for all of which the box is checked). For the others, the values in the dialog will be used. Once the point cloud is attached, it can be manipulated like other entities. It can be moved/rotated/scaled, as with any other element. It also responds to the command SECTIONPLANE section planes, hiding parts outside section planes when these are active. A point cloud with a section plane (inner blue cuboid). In red indicated is the section plane properties panel with in the inner red shape the section plane state which is here set to “volume”. When ESNAP is on, snapping to visible points in the cloud is also possible. Colormap (POINTCLOUDCOLORMAP): It doesn’t just have a cool icon! This nifty command means that false colors can be assigned to the points corresponding to intensity or elevation. Choose single spectrum colors such as red or blue, or go whole spectrum. The header image here uses “Earth” colors. Different point cloud colors are possible in BricsCAD. Choose factors such as height and density to influence the color displayed. Cropping (POINTCLOUDCROP): While a section plane crops everything in the scene, a point cloud crop is limited to the current point cloud, leaving other entities unaffected. Point Size (POINTCLOUDPOINTSIZE): Determines how large points are drawn onscreen. It can be useful to visually fill in gaps. Left: small points. Right: Same number of points, large size displayed. Boundary (POINTCLOUDBOUNDARY): Choose to show or hide a point cloud bounding box. Point cloud has been sectioned and the boundary has been turned off. 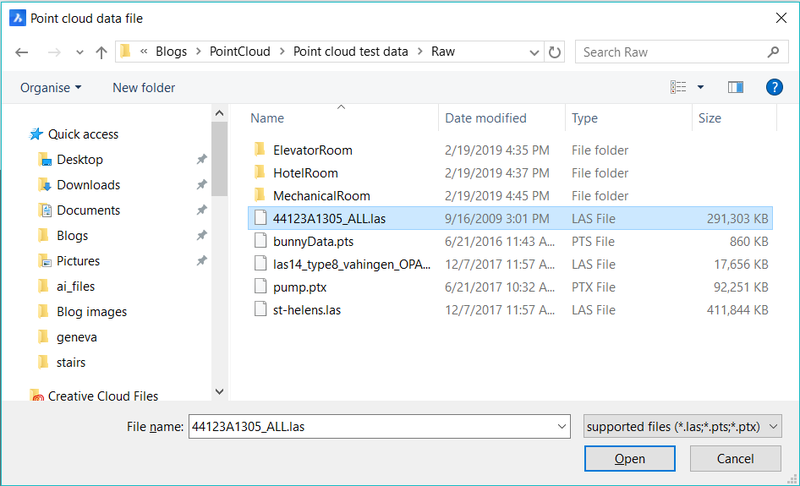 Great news: if you, or someone you work with use AutoCAD® and Recap, it is possible to put the Recap preprocessed file in the same location with the same name as our .bpt file. The extension will be .bpt not .rcp. AutoCAD® can open and use the .dwg with the same point cloud, clippings and other entities present in the drawing. Easy to try, easy to buy, easy to own. That’s BricsCAD. Try all of our products, for free for 30 days at www.bricsys.com. Freedom of choice, plus perpetual (permanent) product licenses that work with all languages, in all places. 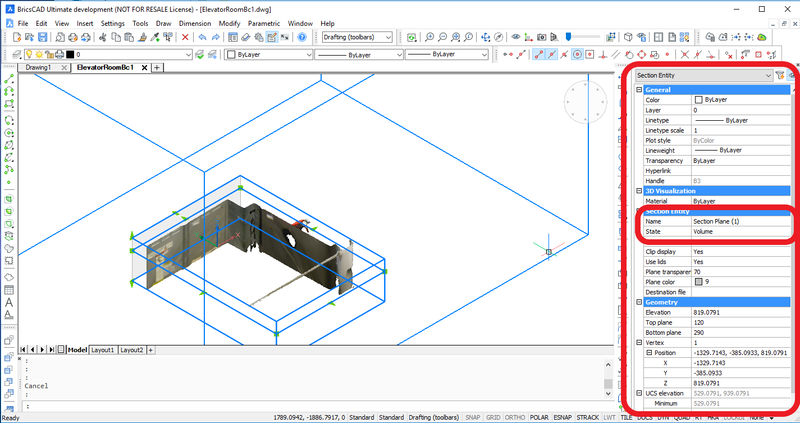 You’ll love what we’ve built for you with BricsCAD. Point Clouds – 1: What’s the point?